Students' Federation of India (SFI), with tagline #DUofmyDreams, seeks to use social media to promote the "extensive" ground work its members are engaged in. 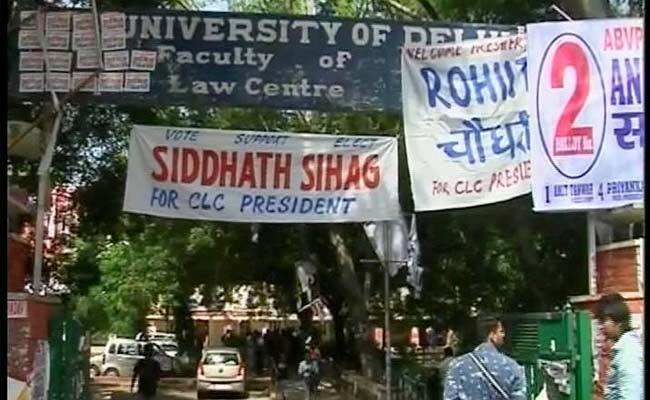 New Delhi: Students' outfits are making the most of social media to garner support ahead of the Delhi University Students' Union (DUSU) polls. While the Congress-affiliated National Students Union of India (NSUI) is taking its message to the students with the hashtag #TakeBackDU, its arch-rival and RSS-backed Akhil Bharatiya Vidyarthi Parishad (ABVP) plans to benefit from these websites to make voters aware of its achievements in the university. "We are going to use Facebook, Twitter, WhatsApp and Instagram extensively. It is the only solution to reach out to a larger audience in a short period of time," Saket Bahuguna, the National Media Convener of the ABVP, said. The CPI-M's Students' Federation of India (SFI), with tagline #DUofmyDreams, seeks to use social media to promote the "extensive" ground work its members are engaged in. "Social media has become entirely money-driven...to make one's presence felt in the name of promotion. We do not have that kind of money, so we advise our activists in various colleges to share the work as much as possible. We use WhatsApp as a tool to reach every individual," SFI Delhi Unit president Prashant Mukherjee said. The All India Students Association (AISA), which is pitching for a violence-free campus, is also putting Facebook and WhatsApp to good use. "We are uploading every activity on our Facebook page 'AISA Delhi University'. 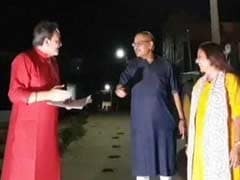 We will also ask our cadres to reach out to voters through WhatsApp," AISA national president Sucheta De said. NSUI in-charge Ruchi Gupta said that besides an "effective Facebook page, we have a WhatsApp group for every college. These are being managed by social media coordinators. A central control room will be looking after all these operations during elections". The elections are scheduled on September 12.